Veganism has been gaining popularity across the nation as well as the globe, and Michigan folk have been adapting to it. 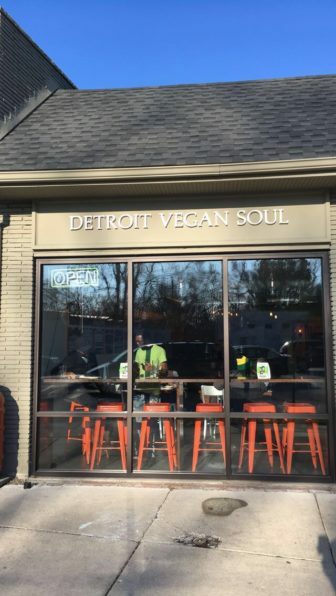 Detroit Vegan Soul is an all plant-based restaurant located in Detroit. For some people, the transition to a plant-based diet is easy, such as the experience for cardiologist Joel Kahn, who has been eating a plant-based diet for over 40 years. “It was a coincidence of walking into the University of Michigan dormitory cafeteria and revolting at all the grey food, and I started only eating from the salad bar,” said Kahn. Despite their different transitions, a major contributor to their decision to follow the diet came in the form of education. Kahn had the science of plant-based nutrition introduced to him at a young age through a program designed for incoming medical students at the University of Michigan. Progar’s initial interest came from his brother, who was vegetarian, but he himself decided make the commitment after attending VegMichigan’s annual VegFest. VegMichigan is a vegan advocacy group entering its 20th year. The non-profit organization hosts several events around the state to promote a plant-based lifestyle. The organization does everything from offering cooking classes, educational courses, potlucks and vegan food tastings, as well as its annual VegFest. Progar said that VegFest is “basically a big event that has speakers, food sampling, and other things promoting a plant-based or vegan diet.” To give an idea of how much it has grown over time, he said that the attendance rose from a couple hundred people at the first VegFest 20 years ago, to over 5,000 people in attendance at the most recent one. Progar said he learned about “egg production and dairy production, on a large scale in the bigger mega farms” at his first ever VegFest, and that “it just seemed as cruel as meat production” to him. Education is also a method Kahn uses when he suggests a plant-based diet to his patients, of which he said most are not fully vegan. With the trend of veganism continuing to grow, so is the demand for vegan options. Restaurants across Michigan are starting to offer more plant-based food options, particularly in Detroit, Ann Arbor and Grand Rapids, reaching all the way East and West of the state. According to information provided by Happy Cow, in Michigan there are over 176 locations that offer vegan options. The listings show California to have the most options available, North Dakota with the least, and only 11 other states with more options than Michigan. Ann Arbor, Detroit and Grand Rapids lead the way for Michigan, combining to offer 36 locations. Detroit provides 10 locations, and Ann Arbor and Grand Rapids both offering 13. The three cities combine to make up for 20 percent of the total in Michigan. Following in those three major cities’ footsteps are Lansing, Traverse City, Royal Oak, Holland, Birmingham, Brighton and Saginaw. People for the Ethical Treatment of Animals has been conducting studies over several years to provide audiences with information regarding the top major cities that are most accommodating to individuals following a plant based diet. Their lists over the years have shown an increase to not only Michigan, but to the Midwest as well. In 2006, PETA published a list of “North America’s Most Vegetarian Friendly Cities” where Detroit did not make the cut, and only two other cities from the Midwest did, those being Minneapolis at number seven and Chicago at number ten. The list changed to “Top 10 Vegan-Friendly Cities” in 2013, where once again Detroit did not make the list, and Chicago was the only Midwest city to make it, landing at number five. Then in the 2016 list, Detroit gives Michigan their first ranking, landing at number four, and as the only Midwest city on the list. This year’s list saw Detroit remain on the Top 10 Vegan Friendly Cities, falling to number six, and was also joined by four other Midwestern cities; Minneapolis at number four Cleveland at number seven, Omaha at number eight, and Kansas City ranked at the bottom of the list. 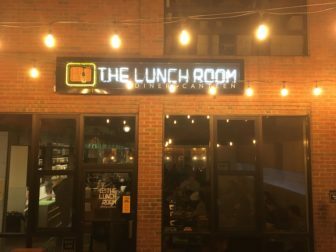 The Lunch Room is an all plant-based restaurant based in Ann Arbor. Outside of restaurants in the major cities adjusting to the vegan trend is the efforts made to university dining halls and food options. Michigan State has a Veg Club that promotes and advocates a vegan diet, and has been working with members of the university to offer more vegan foods. Apart from Brody, the Snyder-Phillips, Landon, Case and Shaw cafeterias all offer some stations or food options, that are “super vegan friendly,” according to Iyer. This semester, the club has been making efforts to work with Michigan State’s own Sparty’s. Learn more about SASHA Farm and their animals here. Despite the fact that veganism has been growing in interest in Michigan, some still believe there is plenty of room for improvement. Despite dissatisfaction with the current state of plant based food options, Kahn, Progar and Clark all believe that the future is bright for the veganism movement. “Statistics show that there are more vegans and more younger people are going vegan or moving in that direction,” said Progar. Advocates all have their own way of promoting a plant-based diet and lifestyle. Progar makes sure to advocate peacefully, making sure that their work never makes anyone feel bad about their eating decisions, but still providing fact-based information to support their work. For others such as Clark, they want people to know that veganism “is so more important than what people think it is” and that “a lot of people write this off as a fad or this trendy thing, not really understanding” the implications. The East Lansing police department will be on full alert for Saturday’s Michigan State game. The City of East Lansing is encouraging residents and fans to take precaution with their celebration.